A legal amendment which would have restricted abortion availability in Northern Ireland has been rejected in Stormont. The proposed amendment to the Criminal Justice Bill fell after it failed to secure a cross party majority in the Assembly. 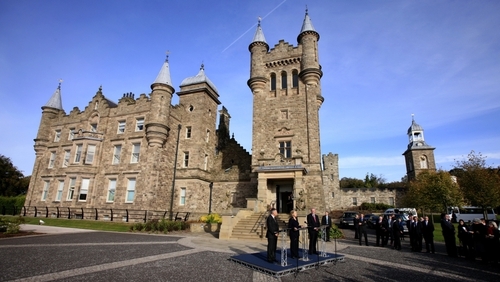 The proposal which was put forward by the Democratic Unionist Party and Social Democratic and Labour Party was lost even though 53 elected members backed it. "The problem is nobody knows if the law is being breached because Marie Stopes is operating under a cloud of darkness. “We could have stopped it but some people decided they would have a petition of concern to allow that business to carry on their practice under that cloak of darkness where nobody can hold them to account," Mr Poots said. Abortions are not illegal in Northern Ireland but are very strictly controlled. Terminations are permitted if two or more doctors consider that the expectant mother's life is at risk. Marie Stopes opened its Belfast clinic last October. Management said they would work within the current legislation and only carry out medical abortions up to nine weeks' gestation. No surgical abortions would be performed at the Great Victoria Street facility, they said. The amendment to the Bill was proposed by two senior members of the DUP and the SDLP. Of the 53 MLAs who voted in favour of the change nine were nationalist, and 44 unionist. The petition of concern which meant the amendment must have secure a cross party majority was submitted to the Assembly authorities yesterday afternoon signed by members of Sinn Fein, the Alliance Party and the Green Party. The Alliance Party's Anna Lo, who was among the signatories, told the Chamber she made no apologies for her position. She claimed some MLAs were out of touch with society and called for further public consultation on the issue. "This amendment is manipulative and only serves the purpose of some MLAs personal agenda. I believe MLAs should make decisions on pragmatism not on religious belief," Ms Lo said. Caitríona Ruane insisted Sinn Féin was against abortion on demand. "Bringing forward this amendment is perhaps the worst example we have seen to date in the Assembly of stroke politics. "The amendment is clearly an attempt to restrict the right of a woman to obtain a termination in life threatening circumstances."